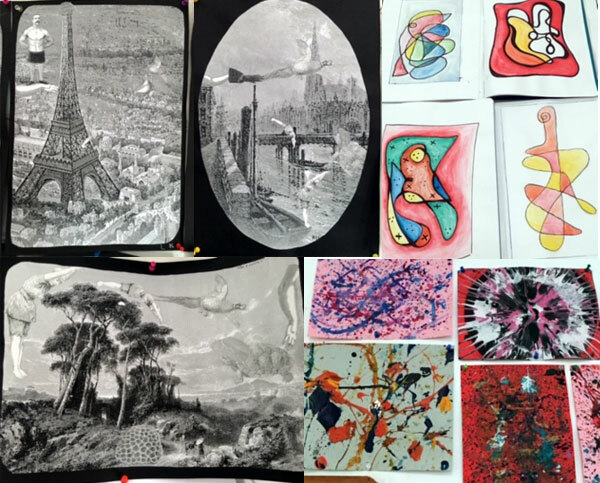 Y10 VA ML is exploring meanings and practical undertakings of what postmodern art is using appropriation, parody, pastiche, irony and abstraction. “If people visited art galleries as much as they frequented cinemas they would understand and appreciate art far more”… Artists explored this week: Jackson Pollock, Damion Hirst, Wassaly Kandinsky, 17/18th Century engravings with collage. Year 11 Photography Incursion CBRSS showing promise for the future in NCIS Basketball!